WAKO kickboxing president, Mr Ennio Falsoni, was in Montenegro and during his visit had the great honor to have a private meeting with Prime Minister of the country, Mr Milo Djukanovic. 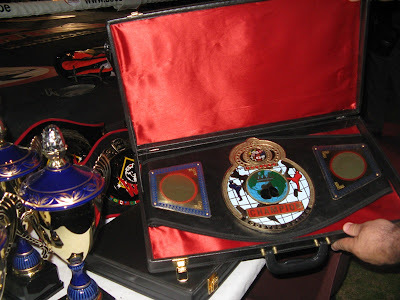 They discussed about the possibility of a future cooperation hosting the 2012 WAKO kickboxing European Championships or 2014 WAKO World Championships in Montenegro. Bruce W. trains canne de combat ? Fluid movement. Motorcycle didn't even shake for a while. And Bruce , ... yes Bruce - perfect Willis. WILL THIS EVER HAPPEN WITH SAVATE TOO? WILL Francophone GAMES BECOME REALITY? 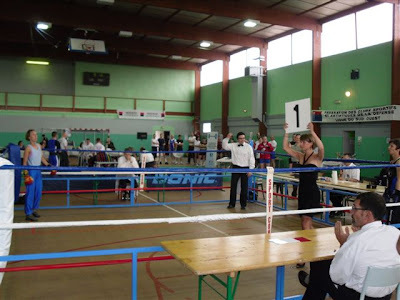 CHANCE FOR SAVATE SPORT? WTF President Chungwon Choue speaks for the representatives from 26 WTF member countries in a head of teams meeting for the 6th Coupe du Monde Francophone at the Novotel Hotel in Lille, France on May 2, 2009. 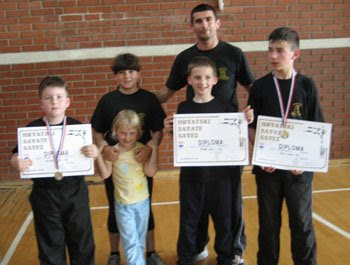 The taekwondo event was held on May 3-4. 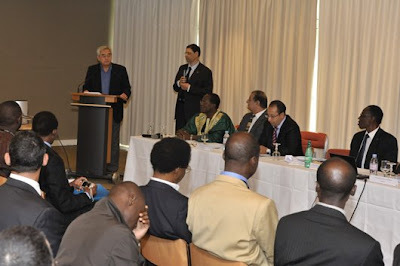 The 6th Coupe du Monde Francophone, which was held on May 3-4, 2009 in Lille, France, drew a record 26 WTF member countries, reflecting the growing importance of the regional event. 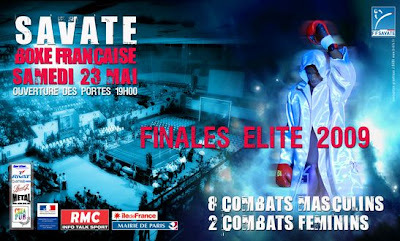 Among the participating nations in the biggest taekwondo event among French-speaking WTF member national associations were 18 African countries. WTF President Chungwon Choue attended a head of teams meeting for the event at the Novotel Hotel on May 2. In his speech for the representatives of 26 WTF member national associations, WTF President Choue expressed his appreciation and encouraged the representatives for their continued efforts for the promotion of taekwondo. He also briefed them on the achievements of the WTF such as the planned expansion of its Lausanne office, the inclusion of poomsae in the official program of the 2009 Universiade in Belgrade, Serbia, the recommendation of the ASOIF General Assembly for a bloc vote for 26 core sports, including taekwondo, at the 2016 Olympic Games, the ongoing WTF Taekwondo Peace Corps activities, and the upcoming World Taekwondo Youth Camp in Korea in August this year in preparation of the inaugural 2010 Youth Olympic Games. The representatives from 26 WTF member national associations stood up several times and celebrated the success of WTF activities. On May 2, the WTF President also met with about 100 participants in the WTF International Referee Refresher Course, which opened on April 30 for a three-day run, and delivered his words of appreciation and encouragement to the participating referees ensuring his confidence in them. 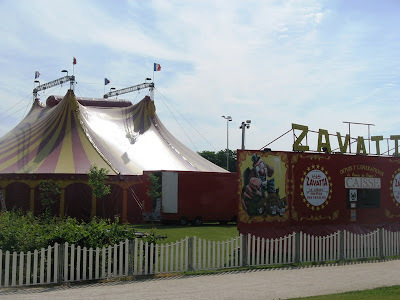 This year it was from 23th to 24th of May in Merignac, France. 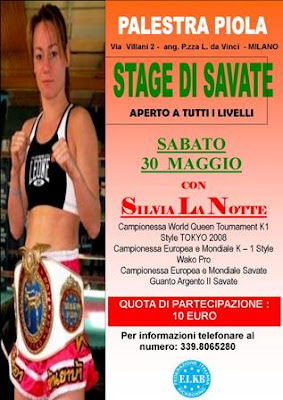 hour: 12:30 - 15:00, Savate seminar with Silvia La Notte. Garesnica, Croatia 17th of May 2009. The scoring system is now changed to adjust and Electronical Open Scoring System. In practical the changes are to be found in Article 5.3 in the Ring Sport Rules and 8.2 in Light-Contact and Kick-Light. The text for our scoring system is the same in all sections. But, as you will see we have taken care of also our manual scoring system (with klickers) in order to give time to our affiliated nations to adapt, implement and buy a electronical system. In our World Cups, Championships and other big tournament, only electronical system will be used from the year 2009. 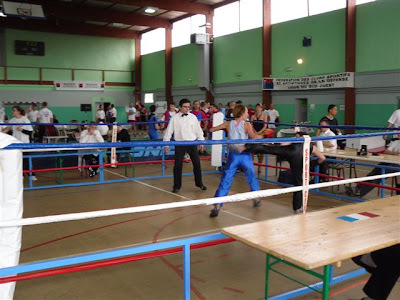 In the General Rules in both Tatami and Ring Sports we have added an article at the end of the document, shortly describing the using of the Electronic system. 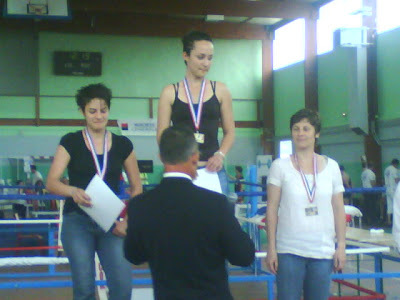 Text about weight classes and rounds are implemented in the correct articles. We have established a new section based on the decision to open up a discipline called Kick Light. 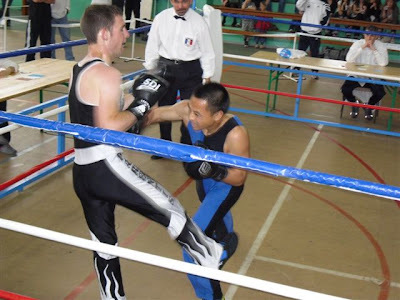 This is in practical Light Contact with Low-Kick. It is Light-Contact rules with the only addition of kicking in the legs. 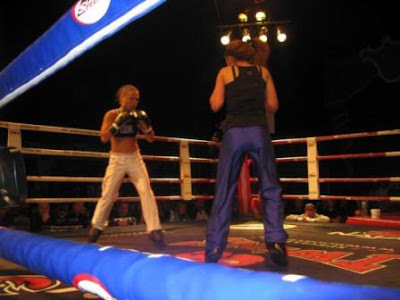 Also the fighters must use shorts, like in Kow-Kick. Besides that it is a Light-Contact rules. We will use Electronical Scoring System. 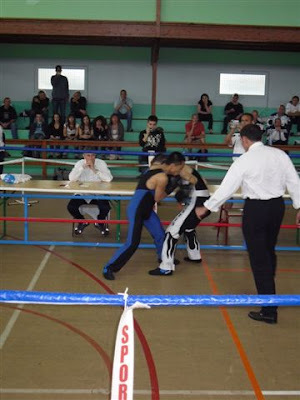 From January 2010 Aero-Kick will not any longer be a competition discipline in our tournaments. However, we hope that our affiliated members continue to practice this kind of exercise activity to serve and attract this kind of population. It can only bring more members to your organization and it can connect even more our sport with the fitness centers all over the world. 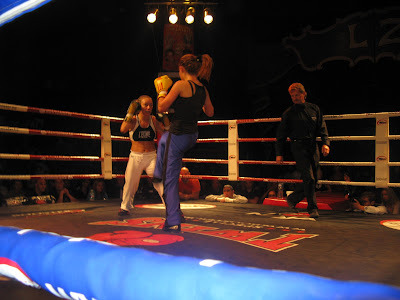 It is a positive and healthy activity and gives a wider perspective to kickboxing as sport. 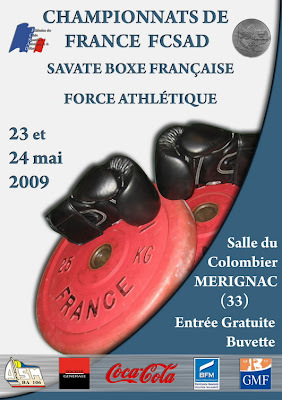 In a cooperation between the french and the swedish federations of savate, the french savate instructor Yvon Nugel from Saverne visited Sweden between 14-16 may 2009. 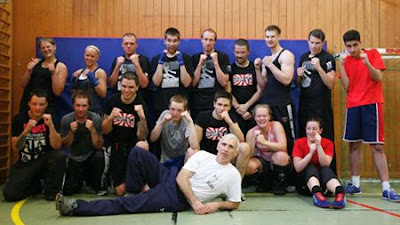 During his visit all focus was on high level training and examination. 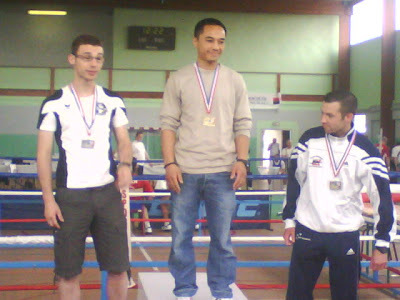 Time was spent on translating everything from the adjusted Gant Jaune program to GAT 3 and of course discussions about savate. The final two days were used for high level training with focus on GAT 1. 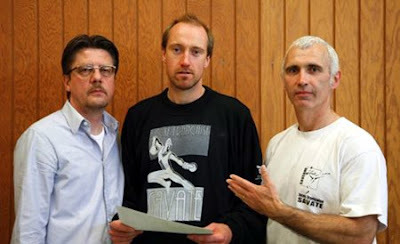 The seminar ended with the first swedish examination of Henrik Olsson to GAT1 under the guidance of swedish national instructor Reijo Pihl and Yvon Nugel. 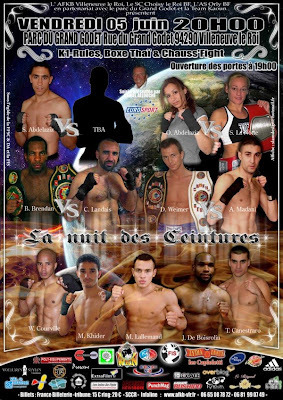 WKN International Supervisor is Mr Habib Bakir and the WKN International Promoter are clubs AFKB Villeuneuve le roi , SC Choisy le Roi BF , AS Orly BF. Amateurism or professionalism - this is not the question. 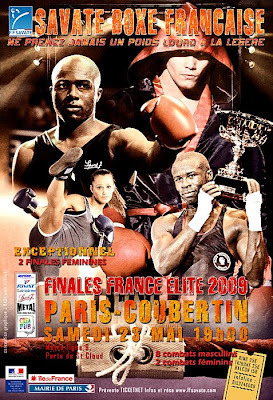 Saturday 23th of May - Stade Pierre de Coubertin, Paris. 3 000 spectators. Modibo Diarra was excellent again. Karate is practiced by 100 million athletes? 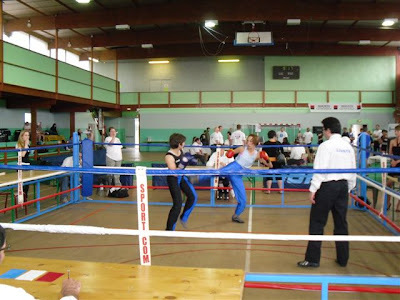 SAVATE BLOGS - Why savate is so mysterious? 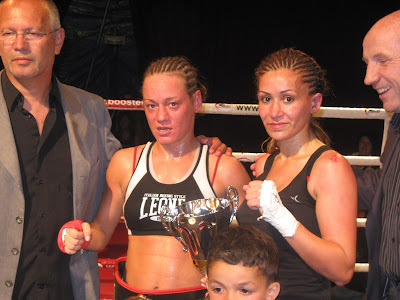 Is french english BOXING dying?